The Panchangam Calendar is the Hindu almanac, containing daily astrological details used for chanting mantras and determining Hindu festivals and auspicious moments to perform activities. The positioning of the sun, moon and stars are used to know the quality of astrological combinations at any given time. The elements of the Panchangam are not merely measures of time and space, but are living celestial divinities whose daily blessings are auspicious and always well intended. Get inspired to Manifest Powers! 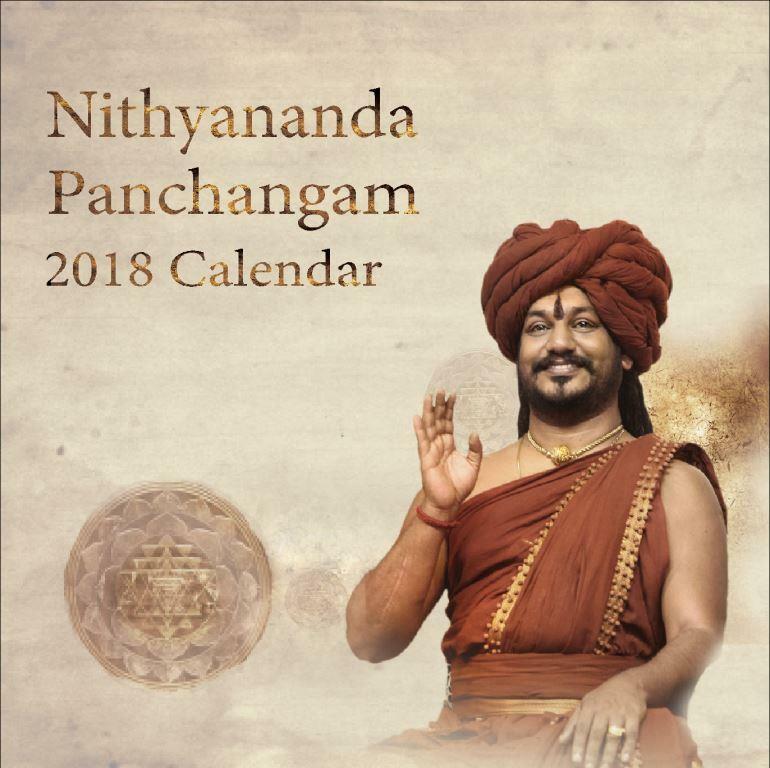 The 2018 Panchangam Calendar gives you an introduction into the various components of manifesting the powers of Sadashiva as revealed and initiated by His Holiness Paramahamsa Nithyananda. His Form will empower you to live in the space of Oneness with a new colorful photo of The Avatar each month in His many Divine dimensions!